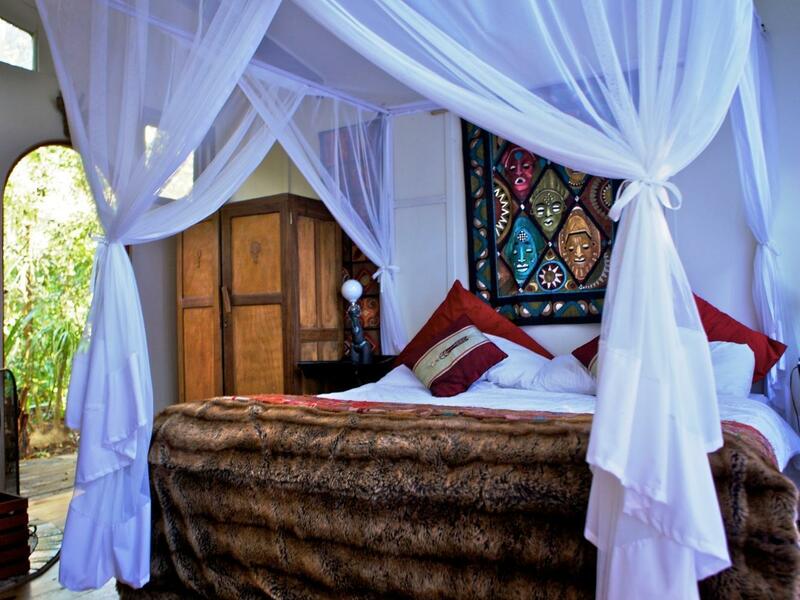 ﻿ Bamboo, the Guesthouse Knysna. JIMAT di Agoda.com! Ada soalan mengenai Bamboo, the Guesthouse? Terletak di tengah-tengah Hunter's Home, Bamboo, the Guesthouse merupakan tempat yang sesuai untuk meneroka Knysna. Keseronokan pusat bandar hanya sejauh 4 Km sahaja. Bagi anda yang ingin pergi agak jauh, Hospital Swasta Life Knysna, Padang Golf Knysna, Kawasan Tasik Nasional Knysna merupakan beberapa daya tarikan untuk pelawat. Kemudahan dan perkhidmatan yang disediakan oleh Bamboo, the Guesthouse memastikan penginapan yang menyenangkan bagi para tetamu. Untuk menamakan beberapa kemudahan di hotel ini, terdapat Wi-Fi percuma semua bilik, Wi-Fi di tempat awam, tempat letak kereta, pengangkutan lapangan terbang, penjagaan kanak-kanak. Alami bilik dengan kemudahan berkualiti tinggi sepanjang anda menginap di sini. Sebahagian bilik menyediakan televisyen skrin rata, linen, internet wayarles (percuma), bilik larangan merokok, pemanas untuk memudahkan tetamu berehat dan kembali bertenaga. Sepanjang hari anda boleh menikmati suasana yang santai dengan padang golf (dalam jarak 3 km) , kolam renang terbuka, rumah urut, taman. Nikmati perkhidmatan yang sukar ditandingi dan lokasi benar-benar berprestij di Bamboo, the Guesthouse. Tetamu yang berumur 22 tahun dan ke atas dianggap sebagai orang dewasa. Very beautiful place, lovely area. Staff is very friendly. it is a nice place to rest and have some peace, a bit outside of town. 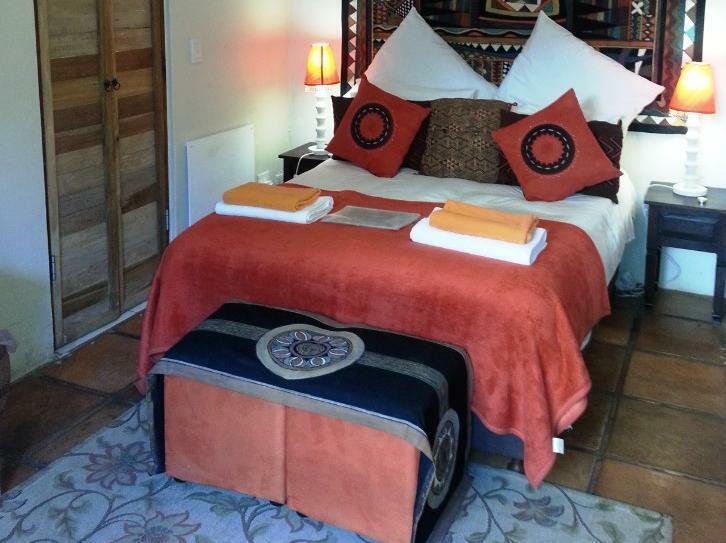 you feel like in the jungle, but sleep in a comfortable chalet or room. very comfy common area and super helpful staff! would definitely come back again! 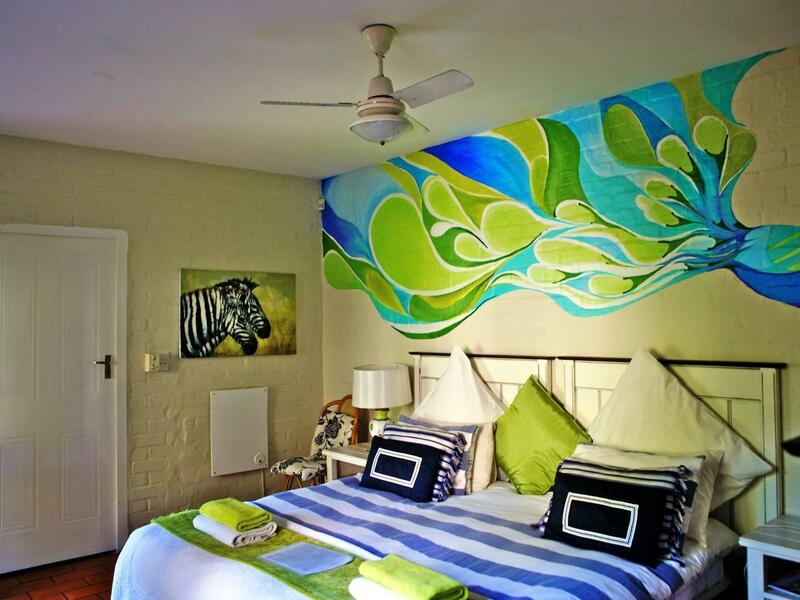 A really quirky and arty B&B. 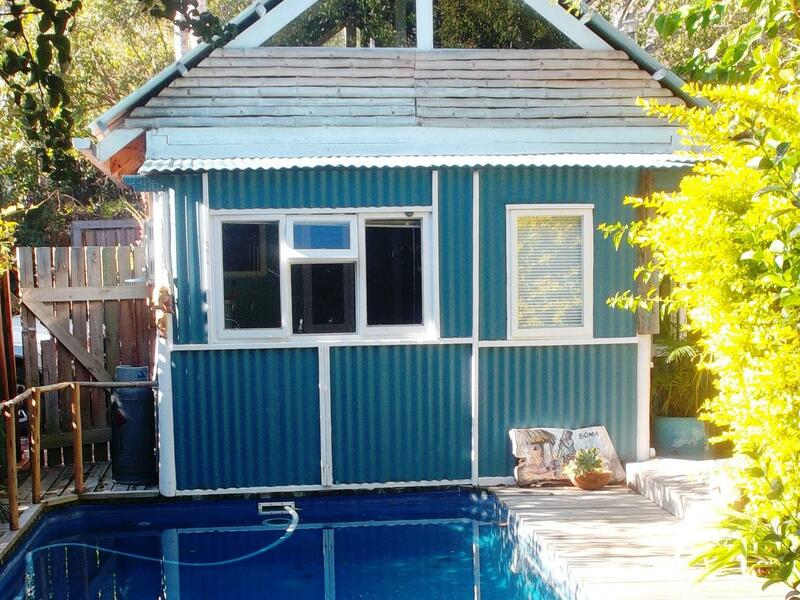 We like to stay somewhere different and this certainly was, but with flair. Everywhere you looked there was some curio and it all fitted together so well. A definite talent by the owner. There’s also a courtesy shuttle bus to the Scirocco restaurant, and back, if you eat there. Good food and nice views. We met Granny Bamboo, the owners mother/mother-in-law. A very interesting lady with a colourful past. Fascinating stories. Will definitely stay again. You won’t find this anywhere else! Intrigued? Try it! It’s a great experience. Staff were extremely helpful and friendly. Due to the jungle landscaping this place is a tourist attraction in itself. We wanted to stay over one night on the way to our final holiday destination - and it was worth it! 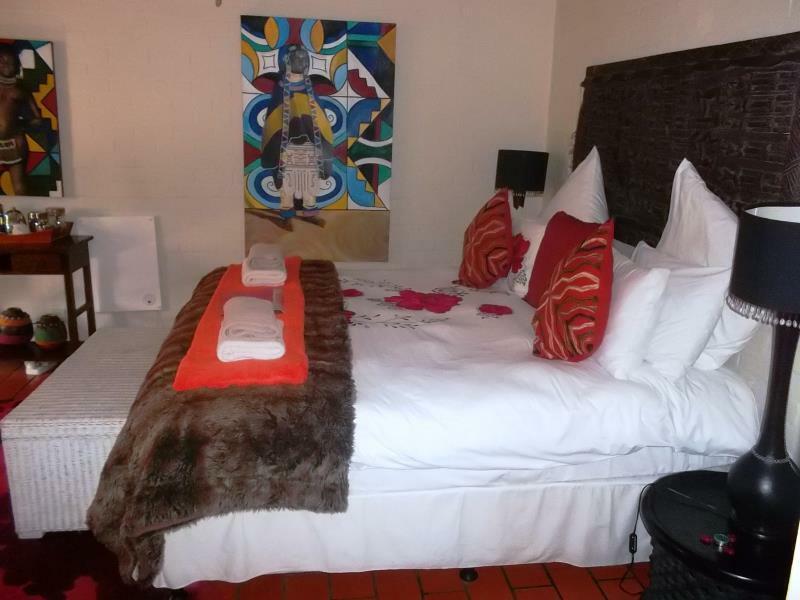 The location, the property, the rooms - everything was beautiful, clean and reasonably priced! We stayed in the Apartment for 2 nights and it was fantastic. The view from the patio is amazing and it is so nice to have a full kitchen and the braai. The apartment is huge with everything you need from towels to kitchen supplies. The owner was very helpful and went out to get a replacement refrigerator when the one there didn't work, which was very much appreciated. We loved this place, we had the honeymoon suite which was quite comfortable with a nice fireplace and kitchenette that we put into use. The owner who was a young fellow was most accommodating. The landscaping of this place was outstanding and beautiful. The food and pizza was quite good and the staff was awesome! After only 3 days we felt like part of the family...! Frühstück war sehr gut. Holz zum Heizen vom Ofen wurde zur Verfügung gestellt. Liegt etwas außerhalb von Knysna. Auto notwendig. Breakfast was very good. Wood to heat the stove was provided. It is a little outside of Knysna. Own car is helpful. 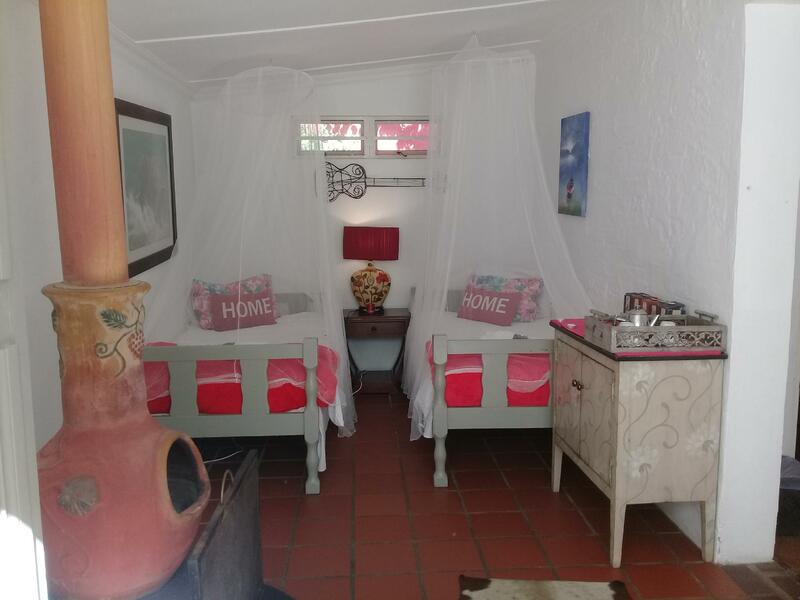 Leider konnte dieses Guesthouse den von uns in Südafrika gewohnten Standard nicht halten. Wir hatten Stockflecken an der Decke, Kakerlaken und Ungeziefer im Zimmer, es war eiskalt und leider wurde kein Kaminholz bereit gestellt. Obwohl wir mehrfach danach gefragt hatten. Das Restaurant das uns von der Unterkunft empfohlen wurde das einen eigenen Taxi Service vom Hotel anbietet, hat uns eine nette Lebensmittelvergiftung beschert. Wir nehmen an, dass die Besitzer des Hotels eine Provision für die Vermittlung des Restaurants erhalten. Das Hotel ist eher eine Hostel als eine Guesthouse und einfach viel zu teuer für den angebotenen Komfort. Wir haben kein Problem damit in einer Backbacker Unterkunft zu übernachten allerdings würden wir dies auch gerne vorher wissen und einen dementsprechenden Preis zahlen. Das Personal war freundlich und der Garten wunderschön. Es gibt deutlich günstigere und schönere Unterkünfte in Knysna. 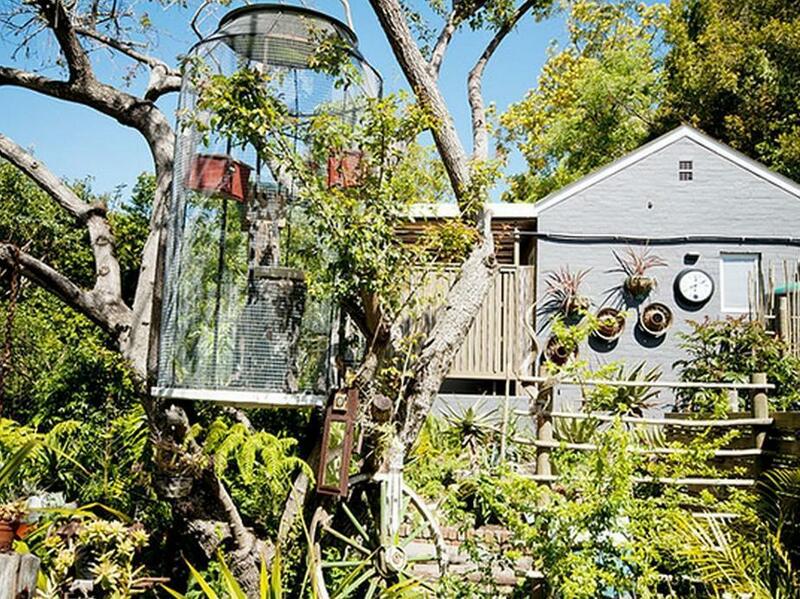 Ein kleines tropisches Paradies in Südafrika! Die Lage ist super und das Personal war sehr nett und hilfsbereit! Wir haben nur eine Nacht in dieser Unterkunft verbracht. Wie wurden herzlich empfangen und haben unsere Zimmer sauber und gut gepflegt vorgefunden. Der ganz individuelle Touch hat uns begeistert und sowohl Räumlichkeiten als auch der Dschungelgarten war mit viel Herzblut und Liebe zum Detail eingerichtet. A pousada é bem arborizada, com um conceito meio alternativo e com um café da manhã médio. A limpeza dos quartos deixa a desejar. Accueil chaleureux. La patronne se préoccupe constamment du bien être de ses hôtes, avec une grande gentillesse apportant même des conseils de visite. Petit point noir, la wifi efficace surtout à l'office. Cadre vraiment enchanteur avec plusieurs logements répartis dans un superbe jardin tropical. Déco originale avec des objets vintage et des créations d'artistes (peintures, photos...). Chambre familiale entièrement équipée avec une belle cuisine. Accueil chaleureux. Petit déjeuner tout à fait correct. Petite boutique d'artisanat. Bref une très belle adresse un peu à l'écart de la ville.